FC Spartak, Moscow. 95th Anniversary. Mr.Owner April 15, 2017 April 15, 2017 No Comments on FC Spartak, Moscow. 95th Anniversary. 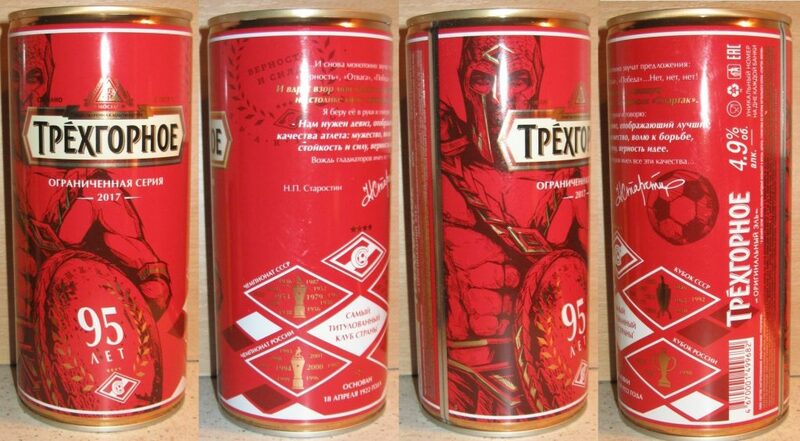 New can of Trekhgornoe Original Ale from Moscow Brewery Company. Amazing! Limited series dedicate of 95th Anniversary of Football Club Spartak-Moscow.